The only wooden pen box on the market that will take the larger pens. This box will accommodate up to the size of an El-Grande. Which is over 13mm in Dia. 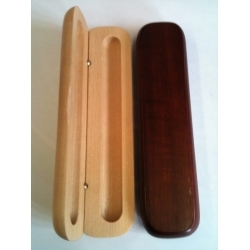 New slim style box 42mm wide. Available in Rosewood or Maple.